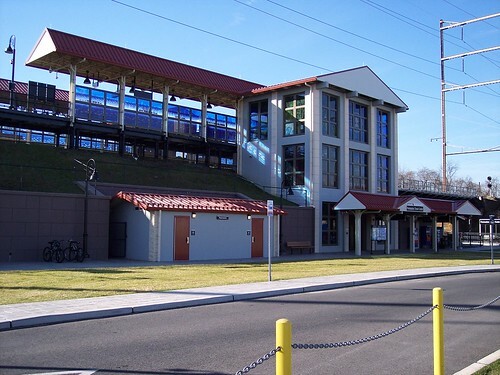 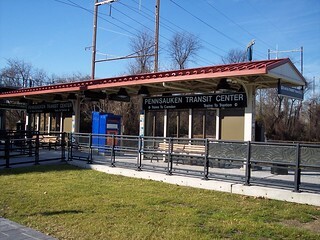 The station at Pennsauken opened after we had ridden both the Atlantic City Line and the River LINE so we returned in 2014 to ride both lines from the station. 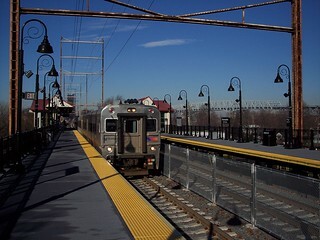 Our train to Lindenwold arrives. 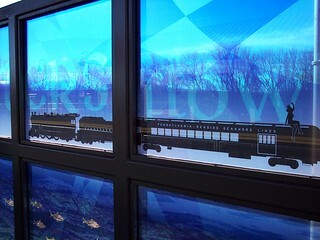 The station art pays homage to the PRR. 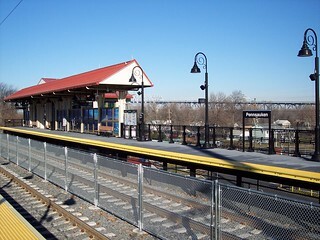 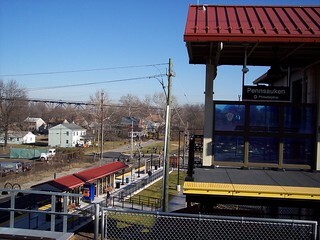 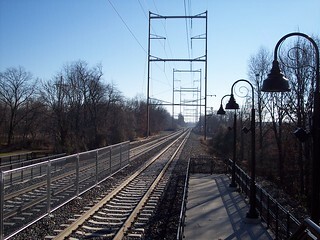 The light rail station can be seen below the Atlantic City Line station. 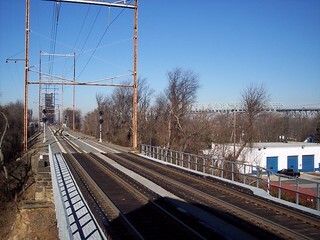 The view toward the Delaware River and in the other direction toward Cherry Hill. 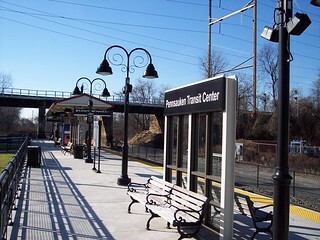 The October 2013 River LINE timetable announces the opening of the station.